In this paper, the influence of the horizontal model grid size and anthropogenic gridded emissions on the air quality forecast in Serbia was analyzed using the online-coupled Weather Research and Forecasting model with Chemistry (WRF-Chem). For that purpose, six simulations were performed. The model horizontal grid size was 20 × 20 km, 10 × 10 km, and 5 × 5 km. Two anthropogenic gridded emission inventories with different grid sizes were used, the global RETRO (REanalysis of the TROpospheric chemical composition) and the EMEP (The European Monitoring and Evaluation Program) for each model horizontal grid size. The modeled O3, NO2, and PM10 concentrations in all six simulations were compared with the measured hourly data at the Serbian Environmental Protection Agency (SEPA) stations and an EMEP station during August 2016. The analysis shows that the influence of the model grid size is larger on PM10 than on the O3 and NO2 concentration. The concentration of O3 and PM10 has a similar dependence on the emissions and the model grid size, while NO2 has a larger dependence on the emission than on the model grid size. The simulation with the 5 × 5 km grid size and the EMEP anthropogenic emissions has optimal performance compared with the measured concentration. In this optimal simulation, the modeled O3 concentrations overestimated the measured values at 3 stations and underestimated the measured values at 2 stations. At most stations, the modeled NO2 concentrations underestimated the measured values. The modeled PM10 concentrations highly underestimated the measured values at all stations. The author would also like to thank the Serbian Environmental Protection Agency for providing the measured data. The computing resources for this research were provided by AXIOM, which is operated by the Faculty of Sciences, Novi Sad, Serbia. 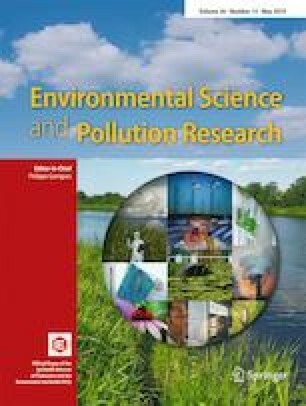 The paper is a part of the research done within the project “Air quality forecast in the Vojvodina region” (142-451-3608/2017-01), financed by the government of the Autonomous Province of Vojvodina, and “Studying climate change and its influence on the environment: impacts, adaptation and mitigation” (III43007), financed by the Ministry of Education and Science of the Republic of Serbia within the framework of integrated and interdisciplinary research and technological development for the period of 2011–2018.